A recoiling unit can also be combined with all the LTC and LTC Plus systems for the production of small reels. The compact dimensions of the system eliminate the need for a coil accumulation pit, thereby reducing installation costs. 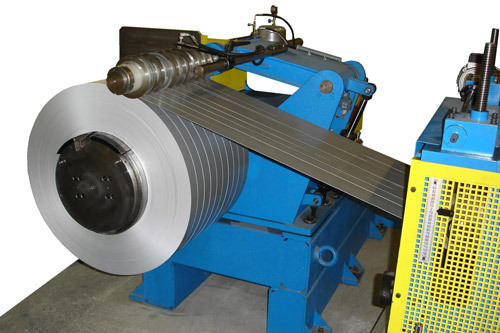 It can be adapted to all coils with widths up to 1550 mm and with loading solutions designed for coils from 200 kg*, 2000 kg*, 5000 kg* and 15000 kg*. 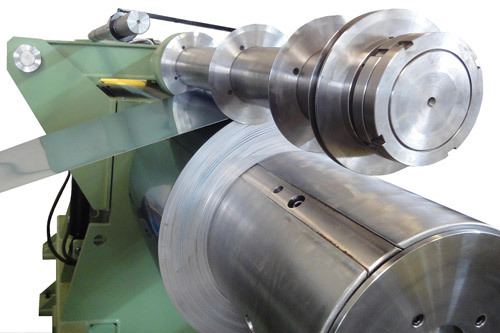 *The solutions can be diversified on the basis of the specific machining needs. CAMU is therefore able to ensure a painstaking study of the best solution and maximum flexibility of use.